In the past few months, we’ve had the opportunity to work and collaborate with some amazing people in Halifax and beyond. We’ve worked with local home builders, decorators, and influencers to showcase our products, and it’s been so fun seeing them incorporate the pieces into their homes and projects. Once thing is for sure- we have some major talent here! Today we wanted to do a round up of the products and photos they’ve shared. We kicked the year off with a guest post from one of our favourite local decorators, Charlotte Interiors, who did a round up of the top lighting trends for 2018! (Sidenote: we’ve got some more exciting guest posts coming up from local designers and decorators!). You’ve probably seen us share this photo once or twice (or 10 times…). We love collating with Bowers Construction and Bricks and Birches because their designs are just stunning, and they make our products look their very best. The Antique bronze wall plate from Legrand’s adorne collection that they featured here was one of our most asked about pieces this year. We’ve done some super fun collabs with Halifax-based influencer, Amy Peters. Her home is GOALS and seriously one of the most stunning homes we’ve seen. 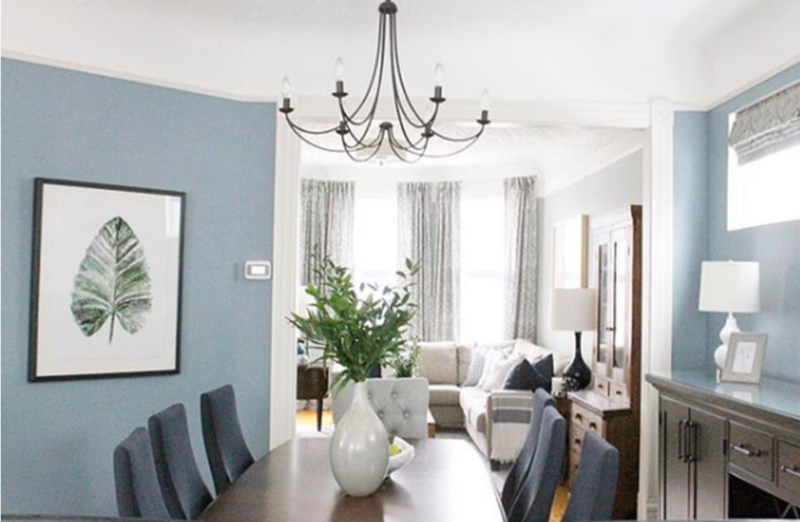 From Mitzi chandeliers to adorne wall plates, she’s featured some of our favourite products in her beautiful home. Pictured here is the adorne wall plate in powder white. Shop Mitzi light fixtures and adorne wall plates. 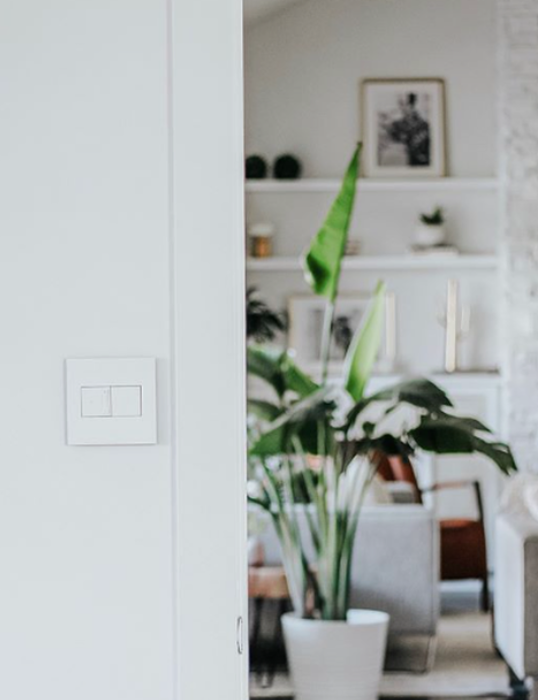 Looking through Bricks and Birches owner, Robyn’s, Instagram is like looking through our dream Pinterest Home board. Her designs are just beyond, and we love getting the opportunity to collaborate with her. 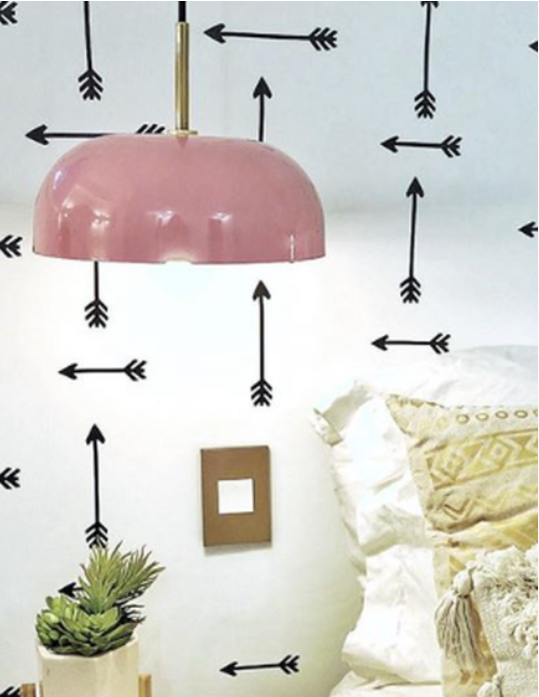 Our Hudson Valley Lighting wall sconce is featured here in her dreamy en suite design. 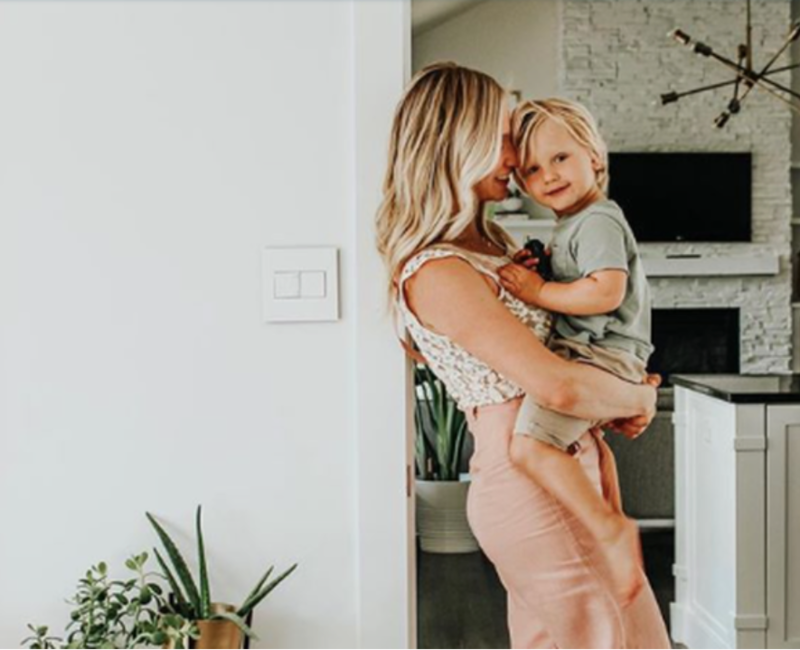 Between running her real estate business, creating amazing decor/lifestyle content, and (our personal favourite) her Tipsy Tuesday tips, Chelsea is one busy lady, but we managed to fit a collab in with her! 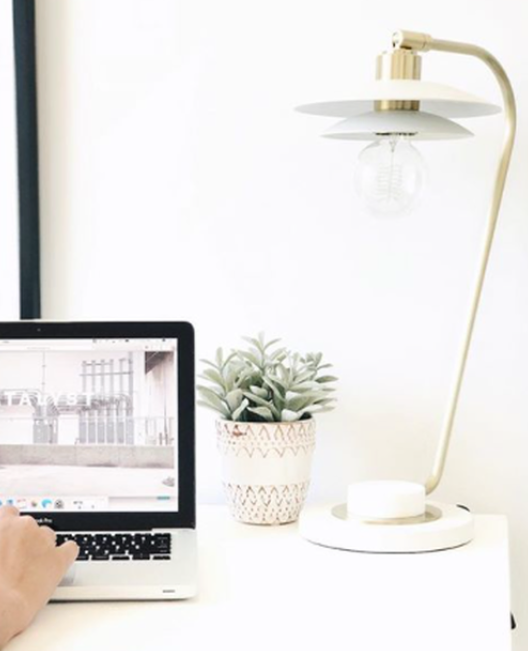 We love how she styled her Mitzi lamp in her cute office. We’ve gotten the opportunity to work with Rebekah, i.e. DIY Mom, a few times already and have some more fun collabs coming up! 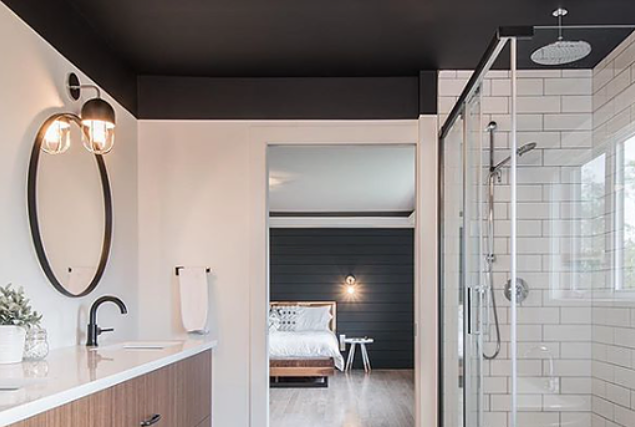 She shared both the Mitzi Blaire pendant and adorne Brushed Bronze wall plate in this cute room reno. Shop Mitzi and adorne wall plates. 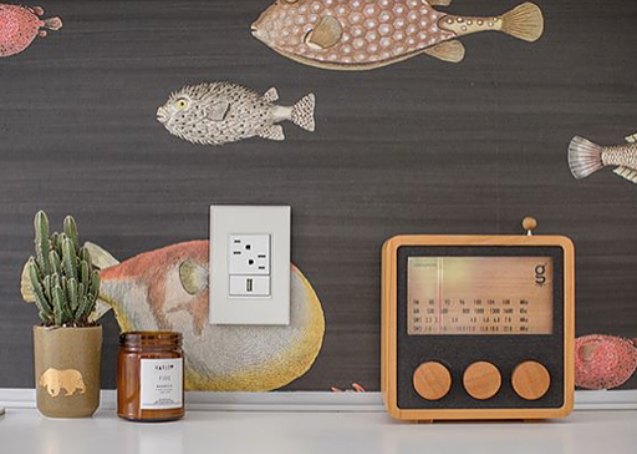 Tuck Studio featured our adorne wall plate (with USB outlet) in this adorable and Maritime themed kitchen design. Seriously, how good is that wall paper? 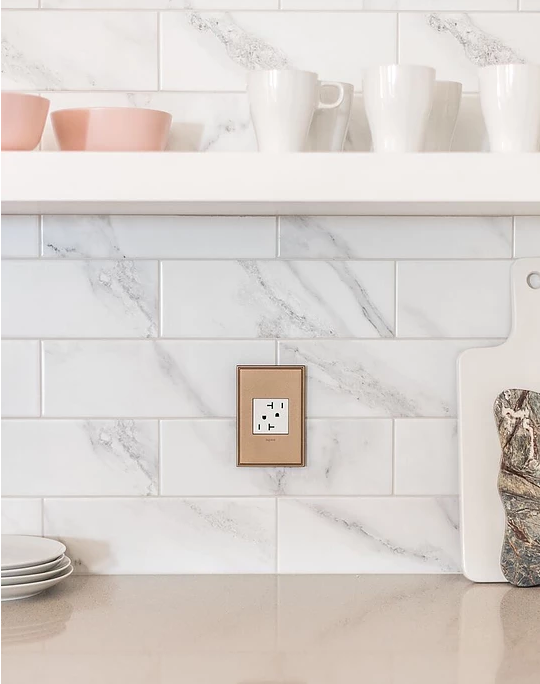 Shop adorne’s USB outlets– they’re the perfect way to charge up without the clutter. Look familiar? Yup, we’re all pretty obsessed with the adorne wall plates! 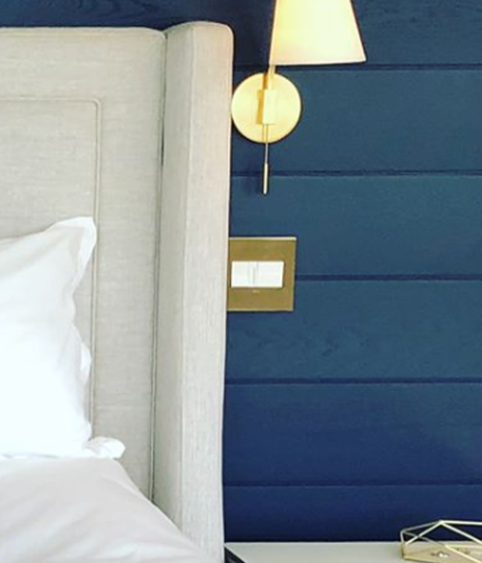 Wadden Electric installed this bed side wall plate in one of Homes by Highgate‘s gorgeous builds, and we think the colour combo is total perfection. For more about the adorne collection, check out our post here. We have more collabs, giveaways, and guest posts coming up, so make sure you’re following us on Instagram and Facebook so you don’t miss out!